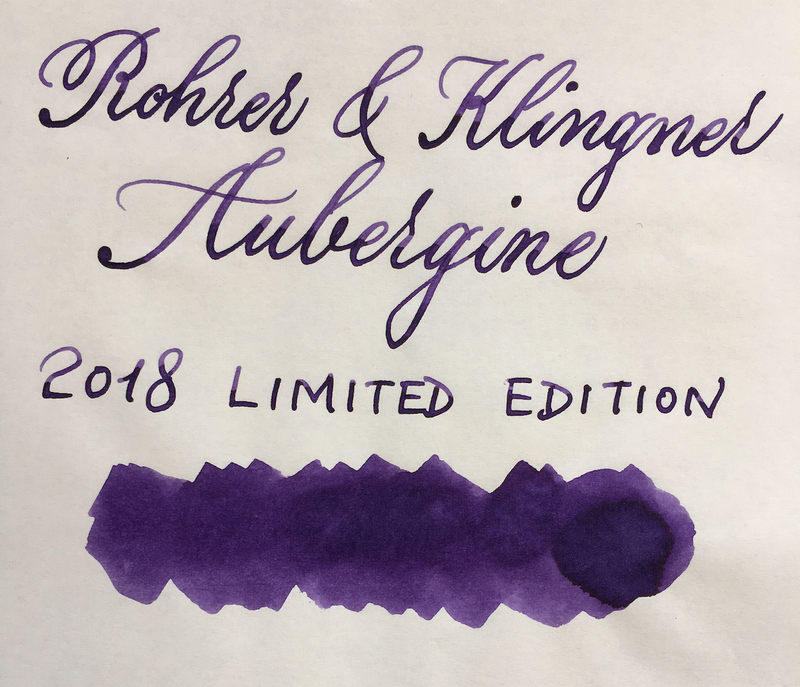 Rohrer & Klingner has recently released a "2018 limited edition" ink called Aubergine. As a big fan of their inks, I think they deserve more recognition for their wonderful inks. 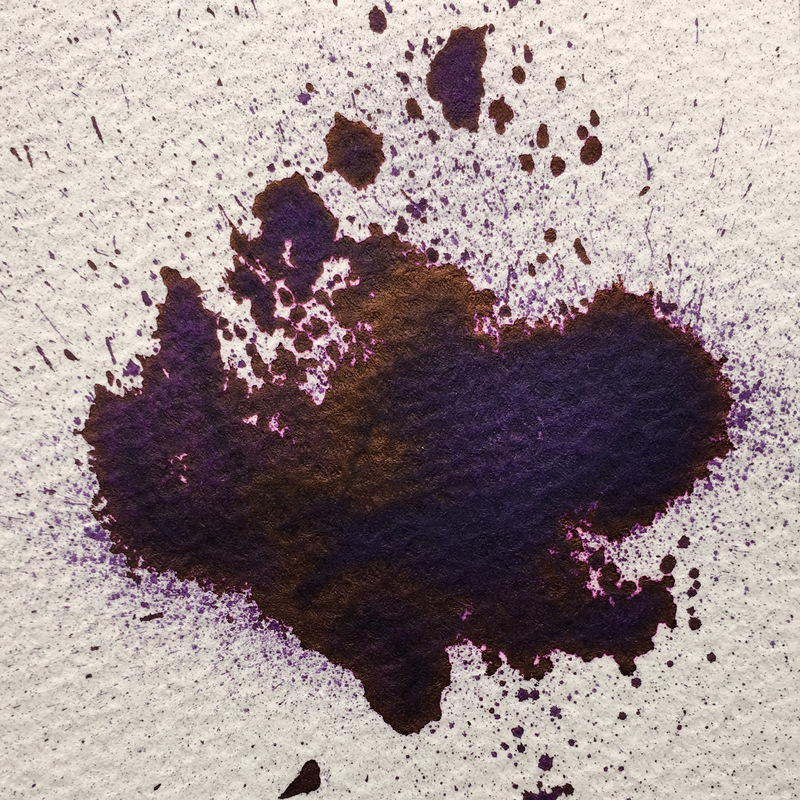 Solferino remains my top purple/magenta/violet ink with its retina-searing brightness and vibrancy. I've bought a bottle of this new Aubergine and I like it very much. Aubergine comes in a cardboard tube packaging and their regular understated bottle. I like their bottles because they are functional. 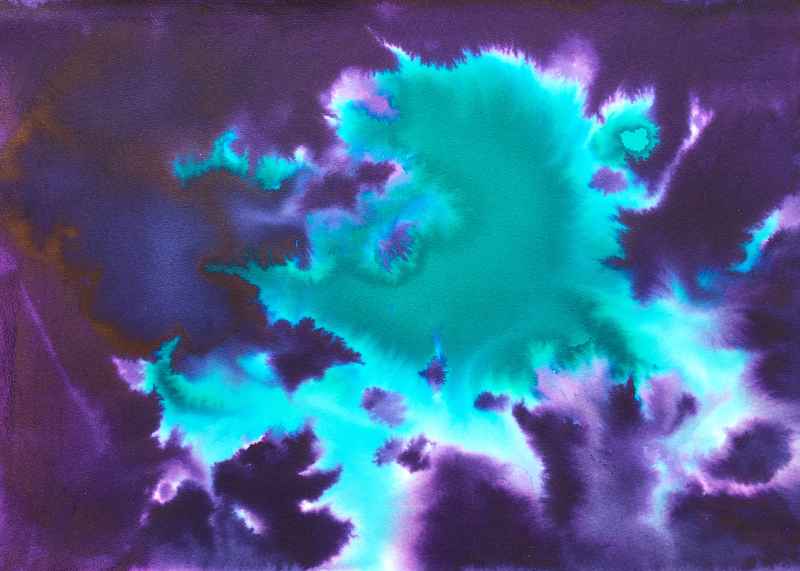 The ink itself is a low-key yet gorgeous purple that leans to the blue side but never so much as to become a blurple. It shows quite a lot of shading. A slight golden-red sheen could sometimes be observed but is really subtle. 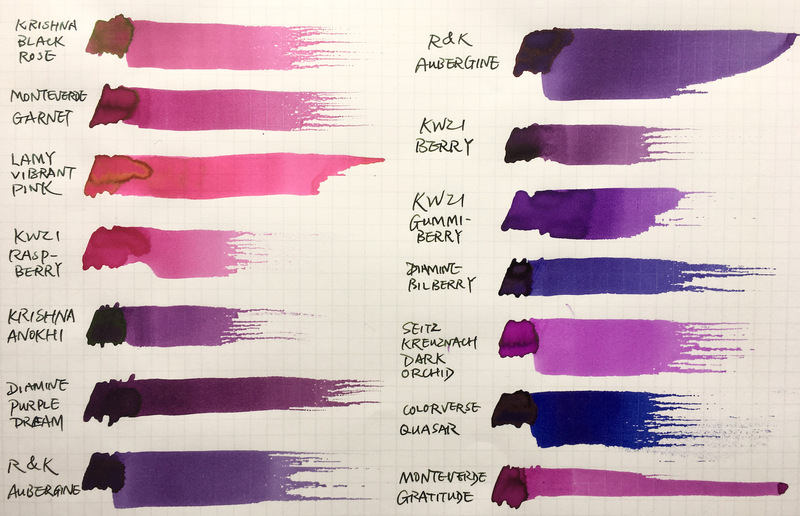 The inks writes very wet, and the lubrication is medium to good. It's not water resistant but it leaves a visible dark trace. 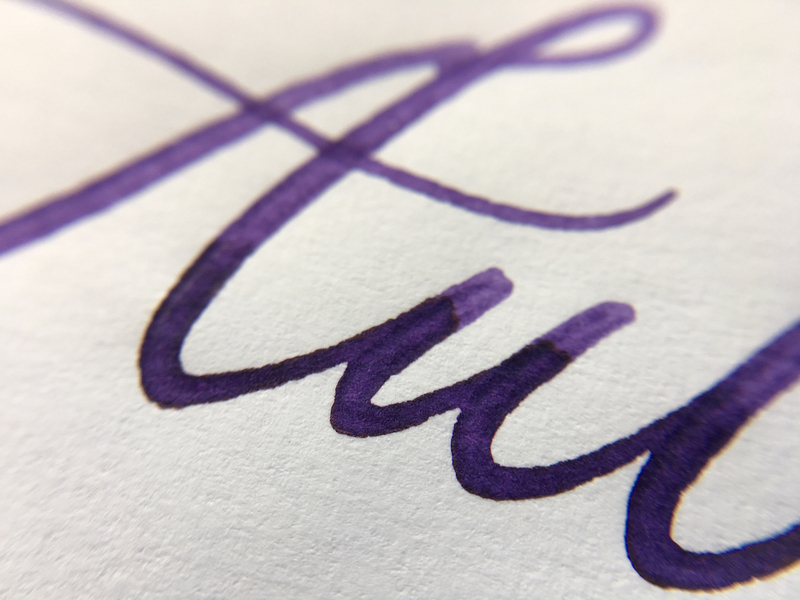 Looks like a nice violet. I definitely like this and hope I can find it for a reasonable price. Vismavitra went to a mission on planet Mars to try to buy Martians' inks. Did he succeed in his mission ? We might have the answer one of these days. Thanks for this great review Lgsoltek. 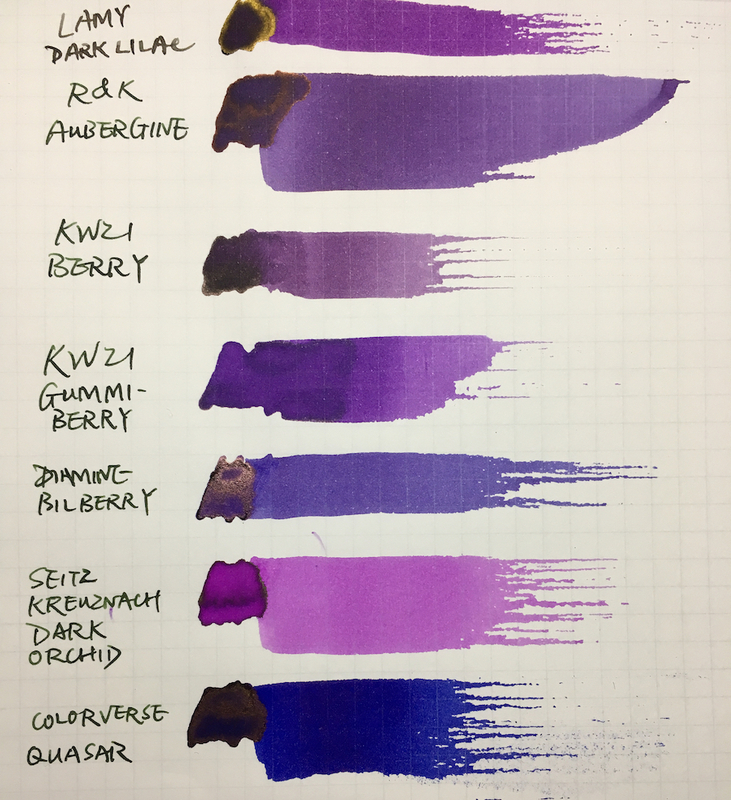 How does this ink compare to Lamy Dark Lilac ? I'll dig out my Dark Lilac sample for a comparative swab tonight. One thing is sure: Aubergine doesn't have that gorgeous golden sheen of Dark Lilac. 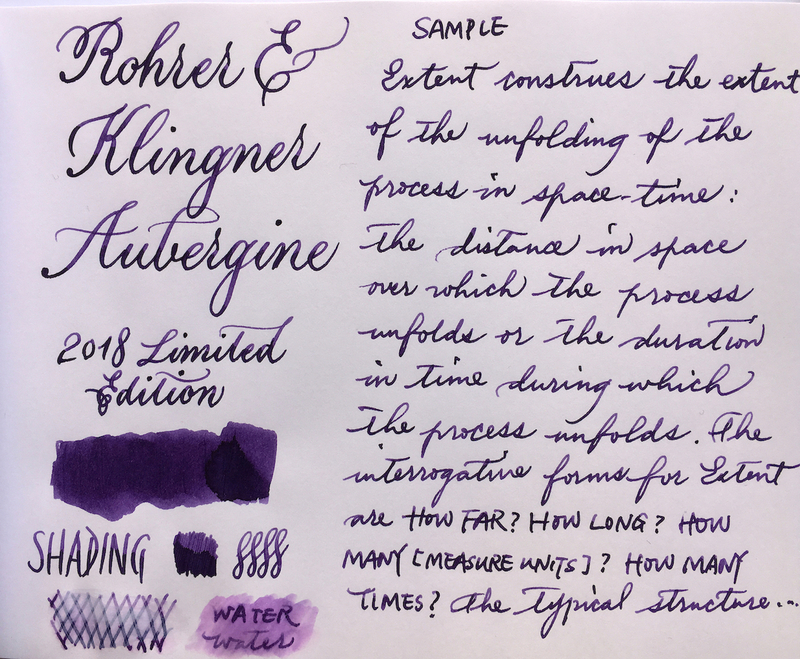 I’ve been using Aubergine for just over a week. A lovely grown-up shade of purple. 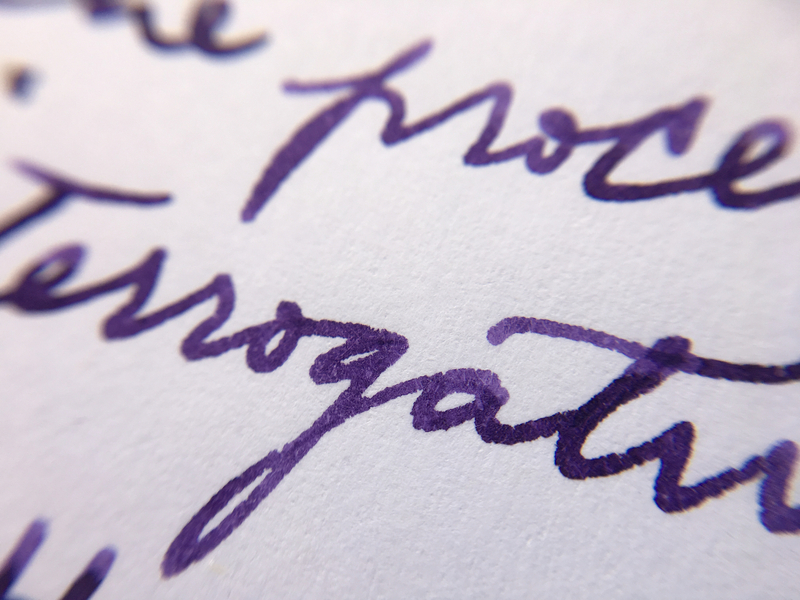 No problems whatsoever in the pen; well-behaved and dries quickly on most papers. I think it’s quite different to Dark Lilac. Has anyone compared it to De Atramentis Aubergine? Searched the name in Google and I can see there's an Australian store that carries it. The R & K leans more blue than DA Aubergine, which is definitely more reddish & is closer to aubergine skin colour, in my eyes. 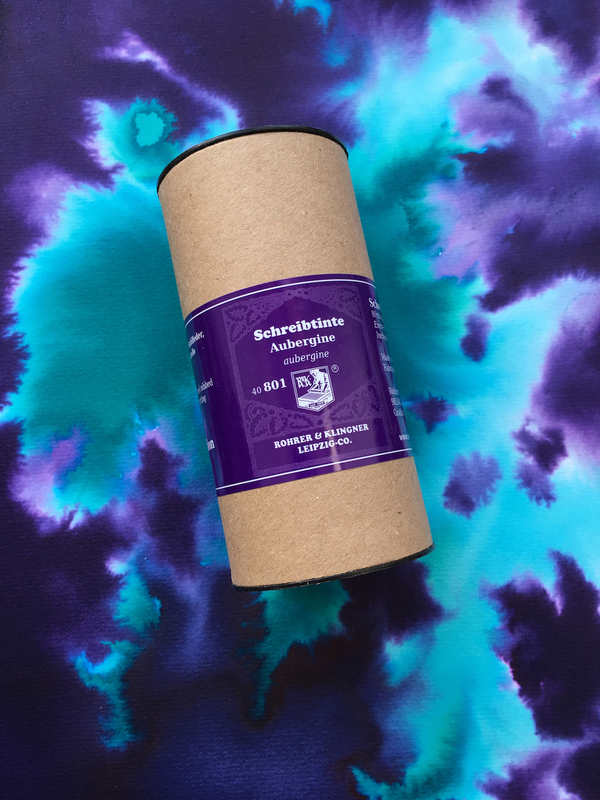 A$33 for a bottle shipped domestically… I think I'll pass on that, and get a bottle of Herbin 1798 Amethyste L'Oural from the UK or the Netherlands instead for significantly less money. Thank you very much for looking it up all the same! Looks nice. Hopefully one of the US shops will have some. 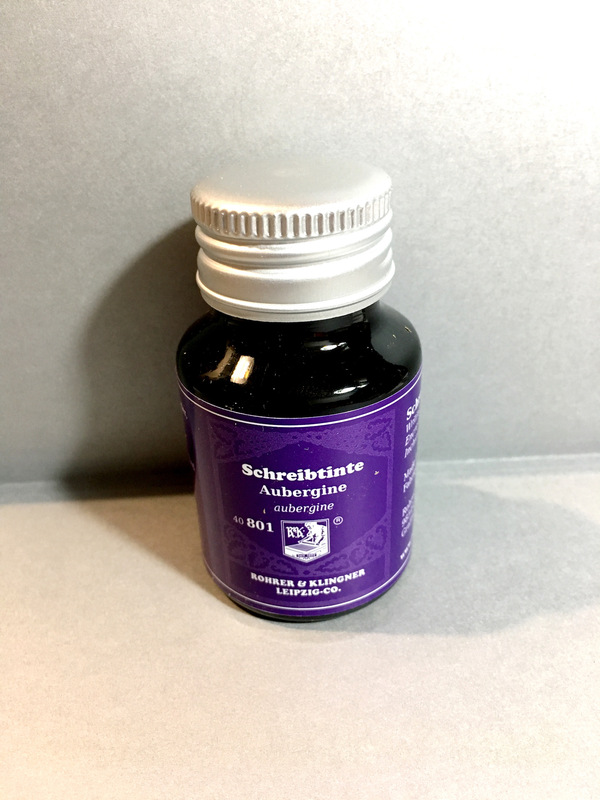 The Australian retailer Lgsoltek alluded to is listing the R&K Aubergine at A$25, with no discounts for Fountain Pen Day 2018 or anything else; standard domestic shipping is A$8. Also, I cannot get free shipping from them even if I make the A$99 minimum threshold, because they explicitly said PO Boxes and Parcel Lockers are excluded from the offer; they will deliver to such only if I pay for shipping using our national postal carrier service. Before I did that, I checked on Bureau Direct. With the start-of-the-month 15% discount code, including international shipping charges for the ink (which cannot be avoided, as there is no free shipping offer) on its own it would cost me just under A$33, so not as much of a saving there. However, Cult Pens would sell me a bottle of Amethyste de L'Oural for £14.96 (~A$27) before any discount code; and I just have to make the £70 minimum to get free shipping. Edited by A Smug Dill, 04 November 2018 - 11:18. 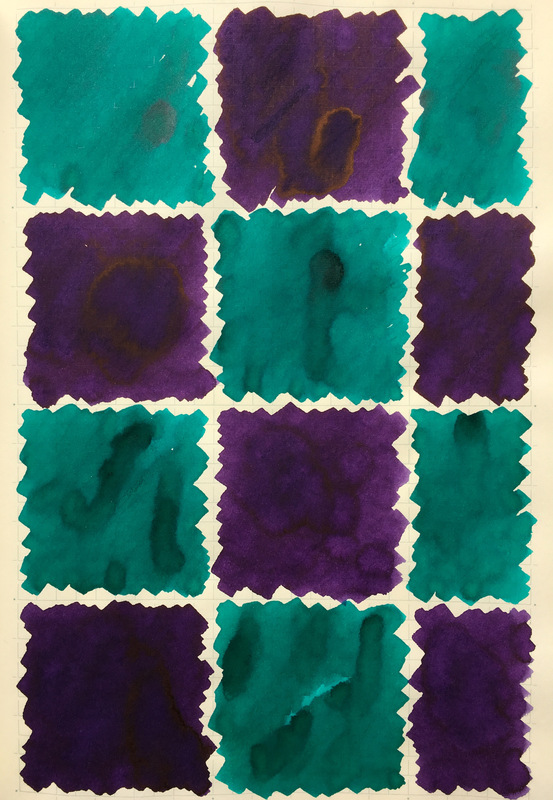 Blue/red Super Sheen For A Purple Addict?